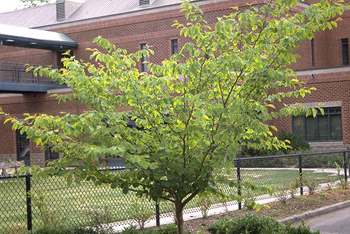 Many wells have been dug in this land where the witch hazel has indicated. At one time, one would hear occasionally, of people making a business of “water witching.” Despite the unscientific concept, some folks still swear by its many successes. 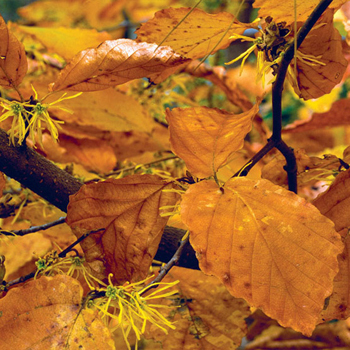 Witch hazel’s name is thought to be derived from early American settlers who used this plant’s forked branches as a divining rod in their searches for water or gold, just as the hazel’s branches were used in England. 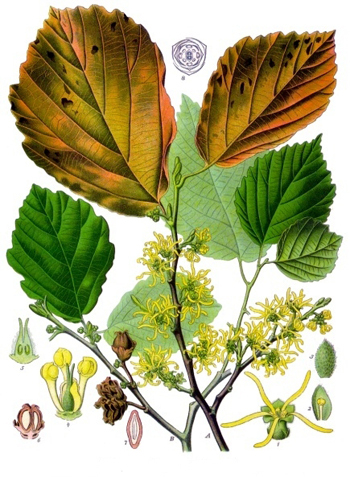 It is also possible that the name was transferred from the English wych-hazel, or wych-elm, with its ultimate origin in the Old English word wican, meaning “to yield”. The reference, of course, would be the springiness of the wood. Twig tea was rubbed on athletes’ legs to keep muscles limber, relieve lameness, wounds, and swellings; tea for bloody dysentery, cholera, cough, and asthma. Used externally for bruises and sore muscles, minor pains, itching. Diluted with water or mixed with honey, the powder may be topically applied as a dressing for burns, scalds, scrapes, bruises, abrasions, and crushed toes and fingers. An effective wash for sunburn, inflamed breasts, and for various rashes. It is often used as an after-shave lotion. Witch hazel “extract”, used externally as a skin toner, is a common item in American medicine cabinets.